As the school bell rings, and students (and parents) get back into the grind, there's no better time for a refresher course in how to get the cheapest car insurance rate possible. Chances are the single most important factor in lowering your car insurance rate is to compare car insurance quotes, at minimum on an annual basis before your renew. Rates often change—not just with your insurer, but all insurers—and the company who provided you the best rate five years ago, two years ago or even last year, may no longer offer you the best deal today. Did you know? Last year, Kanetix.ca customers saved $3.8 million on their car insurance premiums simply by shopping around and you could save too. Compare car insurance quotes today for a better price. Student Away from Home Discount: If your student is attending school in another city or province, their time behind the wheel will be limited to the occasional trip home. As a result, many insurers offer a discount that could save you up to 50 per cent of the premium you're paying for listing them on your policy. Good Student Discount: Good grades are worth bragging about, especially to your auto insurer. If available, your student's grades could save you up to five per cent. Driver's Training Discount: If your student is a newly licensed driver who hasn't taken an approved driver's training course, it's worth enrolling them in one. You could save hundreds of dollars each year in premiums, for typically up to three years, after your child has successfully passed a driver's training course. Save five to 10 per cent on your auto insurance premiums simply by raising your deductibles. A deductible is the portion of an insurance claim you agree to pay so the higher your deductible, the lower your car insurance rate. Keep it affordable though, because this is how much you'll have to pay in the event of a claim. Save money when you bundle your insurance policies. It's called a multi-line discount and it can save you five to 15 per cent off of one, or even both of your policies. Usually people bundle their auto and home insurance together, but don't forget about your other policies too: motorcycle, RV & Trailer, and even policies you have for your ATVs and snowmobiles. If this winter you're thinking about investing in winter tires, make sure you keep your auto insurance provider in the loop. Some insurers offer a winter tire discount that will help lower your premium. Live in Ontario? As of January 1, 2016 all Ontario car insurance companies must give drivers who change their tires seasonally a discount. How much the discount will save drivers will vary, however, it could be as much as five per cent. 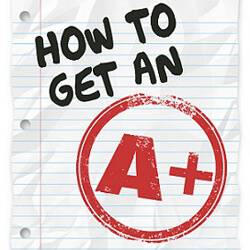 You deserve an A+, but are you getting it from your current auto insurer? Is your current auto insurer earning an A+, or is it failing to make the grade when it comes to the auto insurance rates you pay? Today you're the teacher and it's time for a pop quiz.Compare car insurance quotes to see if you could be paying less.